The revelations coming from Stephanie Otobo are too hot to believe, but also too strong to ignore. She mentioned Daniella Okeke, a Nollywood actress living large as one of the girls Apostle Suleman dated in the past and lavished money on. 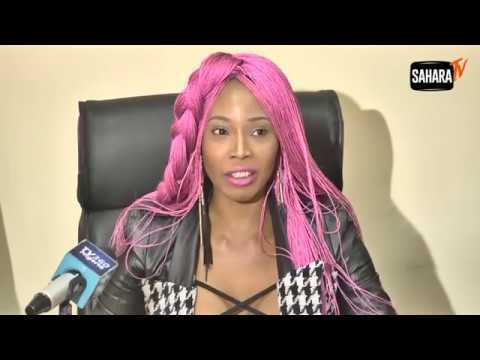 The cash she claimed Apostle Suleman gave her are Thousands of Dollars & Pounds, she said it's not necessary for people to accuse of her lying, that Police should just analyse her bank accounts cash flow and analyse that of Apostle Suleman to reveal the TRUTH. “This is not a blackmail,” Stephanie insisted. She said if she's a cheap prosti-tute as they say, what is special about her that the Pastor was sending such huge amount to her Dollar and Naira accounts. The lady mentioned hotel they stayed in Lagos, Nigeria and locations in other countries. She is ready to surrender evidence to police. Sincerely, no one can tell where all these would end.